The information presented on this page was originally released on July 1, 2016. It may not be outdated, but please search our site for more current information. If you plan to quote or reference this information in a publication, please check with the Extension specialist or author before proceeding. RAYMOND, Miss. -- An increase in housing starts in 2015 strengthened Mississippi’s timber industry, and stronger demand for sawtimber products used in construction are helping give the industry a boost this year. James Henderson, an associate professor of forestry with the Mississippi State University Extension Service, said timber ended the year with a total estimated harvest value of almost $1.67 billion. “The markets for sawtimber have shown much improvement over the past couple of years, particularly for hardwood sawtimber and, to a lesser degree, pine sawtimber,” he said. In 2015, the U.S. Census Bureau reported housing starts increased 10.9 percent from 2014. However, an excess supply of standing pine sawtimber reduced delivered prices for this segment of the industry. For the first quarter of 2016, Mississippi average stumpage prices for hardwood sawtimber was $39 per ton. Pine sawtimber stumpage was $23 per ton. Hardwood pulpwood was priced at $10 per ton, and pine pulpwood was priced at $8 per ton. Henderson said pulpwood markets, particularly in north Mississippi, are limited and have not done as well. Stephen Dicke, MSU Extension forestry specialist, said central Mississippi landowners will continue to experience increased pest pressure and some tree loss following last year’s drought and heat. Extreme drought and an extended fall created ideal conditions for Ips bark beetles and deodar weevils to thrive in central Mississippi’s pine stands. Both pests bore into the inner pine bark to reproduce. 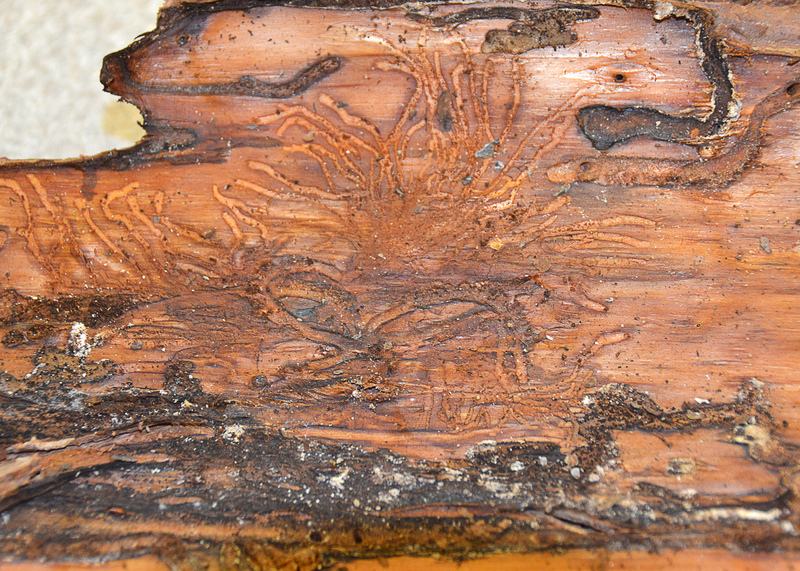 Ips beetles carve out distinctive straight tunnels to lay eggs. Deodar weevils make wood-chip cocoons for larvae. These cocoons, which resemble miniature bird nests are easily identified when bark is removed. Dicke said landowners have experienced drought and extended fall temperatures in the past, but the combination of the two is particularly stressful for trees. Ips beetles and deodar weevils usually go dormant in the winter when temperatures drop. The good news is that beetle counts conducted by the Mississippi Forestry Commission detected high populations of checkered clerid beetles, which are natural enemies of both Ips beetles and southern pine beetles, Dicke said. However, landowners should scout their timber throughout the summer to check for Ips beetles and deodar weevils, he said. Ips beetles and southern pine beetles have a similar appearance, but there is one distinct difference. Both are very small -- about the size of a gnat. 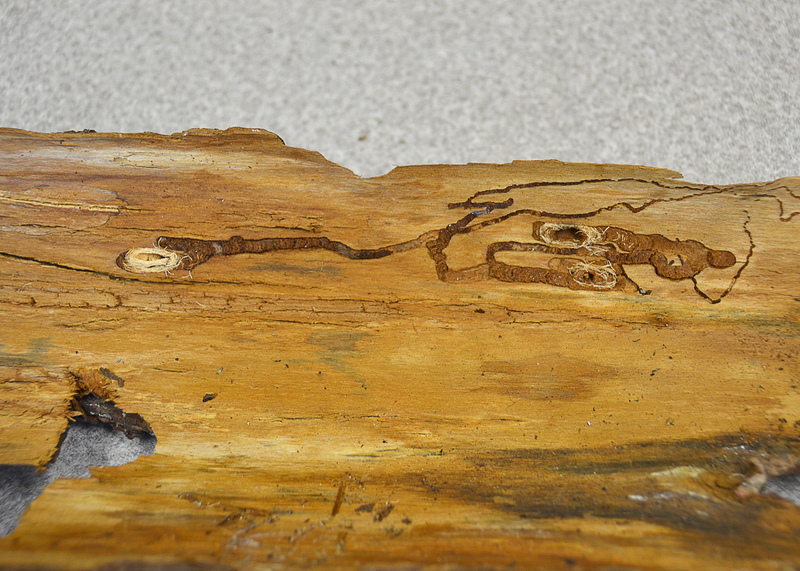 However, the Ips beetle has a blunt rear end, and the southern pine beetle has a rounded rear end.